Everyone needs a little color in their Monday, so I decided to post these beautiful travel pictures I found recently. 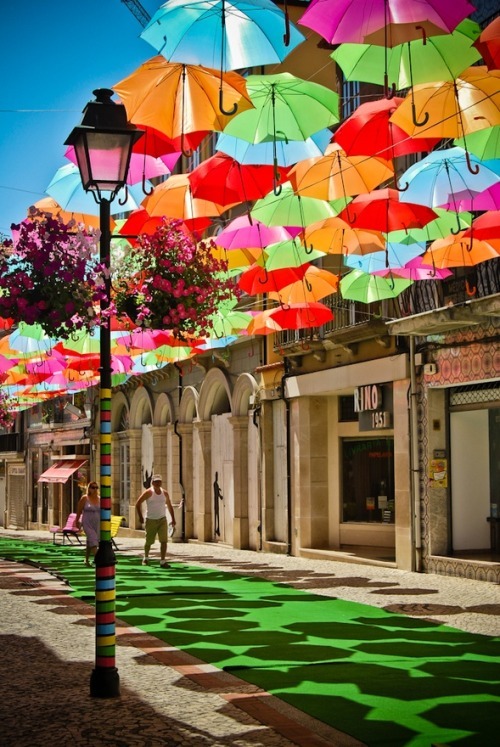 Wouldn’t it be cool if there were more “Umbrella Sky” walkways? Who knew laundry could be so beautiful? Against the beautiful colors used on Italian buildings, you can’t help but feel airy and light. Would love to go shopping in this market! Just a little color inspiration for a Monday morning. Hope you all have a great week! !